My experience of having an emergency colostomy operation and spending time in hospital unable to eat or move affected me long after I had been discharged and the physical wounds had healed. For more information about the experience, please read this article. For example, I had a panic attack a month or so after being discharged. It was Friday night, I was just beginning to feel normal and happy again and we had some people around for dinner. No matter what I did, I couldn’t stop breathing in-and-out intensely. It went on for about three hours until I was taken back to hospital and given Valium. The memories of being rushed into hospital in a state of shock at what happened and not knowing if I’d survive stayed with me for years. Occasionally I would look at a photo of my stomach which had been cut open for the operations and had metal staples along the sutre line. I would flinch and cringe and become freaked out and feel extremely uncomfortable. I didn’t know why I kept looking at the photo every six months or so. For some reason I was just magnetically drawn to do it. It turns out that I was ‘seeking resolution’. Seeking resolution is when our subconscious mind brings old traumas to the surface in small bit size pieces in order for us to re-live the experience and find out if it is now safe. Its a bit like an animal that has been scared by something and hides in a cave. They might not come barrelling back out straight away. They are more likely to peep their head out so see if the coast is clear and then slowly tip-toe around the ‘scene of the crime’, ready to jump back and run away the second it becomes scary again. Seeking resolution doesn’t just occur for operations and times in which we were scared. It occurs for everything. Relationships are a big one. Often we re-create the same patterns and partners time and time again until we become aware of what is happening and choose to make a change. For me, it was so apparent that these memories and feelings weren’t going to just disappear. I knew that I’d have to face them head on, and fortunately found Matrix Reimprinting as a solution to achieve this in a safe and and controlled environment. It has become so clear to me based upon my experience as well as those of my clients that once our physical survival is assured and the dusk has settled, it is important to face the psychological aspects of our ordeal. If you (or someone you know) has had a traumatic experience, whether it be in hospital, an accident, death or whatever, it is so important to know that there are options available to process and discharge the shock and emotion experienced at the time. Whilst we cannot 100% erase the past, it is possible to feel happy and free. I’m here to help with this, as are many others. The hardest part is often plucking up the courage to ‘admit’ to others and most importantly yourself that it is a problem. It might be challenging to think about and easy to find reasons and excuses to avoid going any further. The good news I can tell you is that the moment you reach out to others and say, ‘Can you help me?’, things tend to get easier because in that moment you realise how much of a toll this memory or experience has had on you and how desperate you are for it to change. The right person will appear in front of you and you will leave feeling 100 kilograms lighter. I looked at journal articles from the UK, US, Australia and Norway that study the effects of trauma on patients in an Intensive Care Unit. It was found that 10-33% of patients developed PTSD after their time in ICU. A study published in Volume 38 of Critical Care Medicine in 2010 found that “Trauma patients had a high level of quality of life before the accident and experience the largest decline in both mental and physical health from before ICU to 1 year after the accident. Only a slight increase in physical functioning was seen between 3 months and 1 year”. Being in an ICU unit provides critical support for our bodies to survive and recover from extreme events such as heart attacks, accidents and major operations. Unresolved physical freeze responses and emotions felt at the time can hold an ex-patient trapped in time and unable to progress in their life. Releasing the shock of what happened and emotions such as fear, anger and helplessness will assist them to feel safe and happy again. I know this because I experienced a session of a technique called Matrix Reimprinting that totally changed my life. It was amazing how much fear, anger and sadness there was that I hadn’t had an opportunity to express. Whilst morphine helped me get through the experience with a minimum of pain and suffering (for which I am extremely grateful), being under a haze of drugs prevented me from processing the experience. A full write up of the experience can be found here. Fortunately, when one does recover from a traumatic experience, whether it occurs naturally, or through the guidance of a trained professional, their relationships are often strengthened, they can return to their normal work/study routine and often improve their overall health and lifestyle choices. If you, or someone you know is suffering the after-effects of hospital trauma, there is still hope for you to feel happy and safe again. 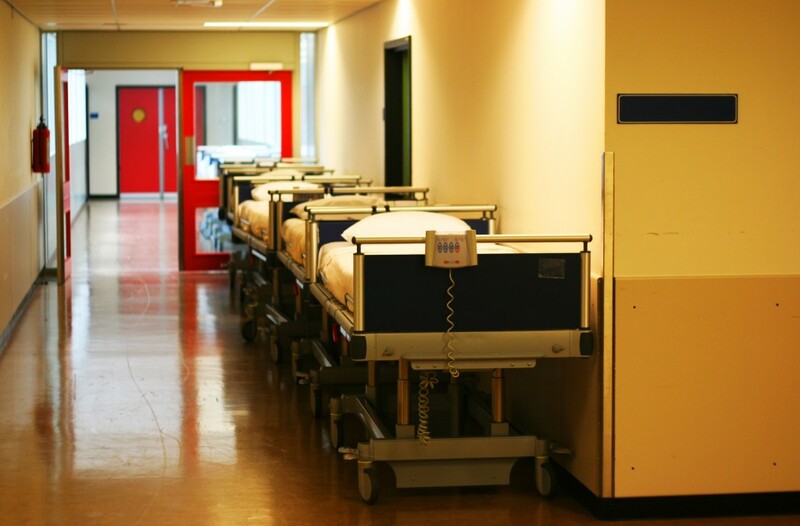 Not surprisingly, seeing a loved one in an ICU at hospital can be just as traumatic. In fact, one study found that the prevalence of PTSD in family members of ICU patients to be up to 33% – which is slightly higher that estimated for patients themselves! Trauma in this case is often related to being unable to communicate to and assist a loved one, as well as having the responsibility of making life altering decisions. From my experience, the ‘issues’ don’t go away until they are dealt with. My advise is to have the courage to work through it. Find someone you feel comfortable with and has the tools such as EFT and Matrix Reimprinting that can set you free.